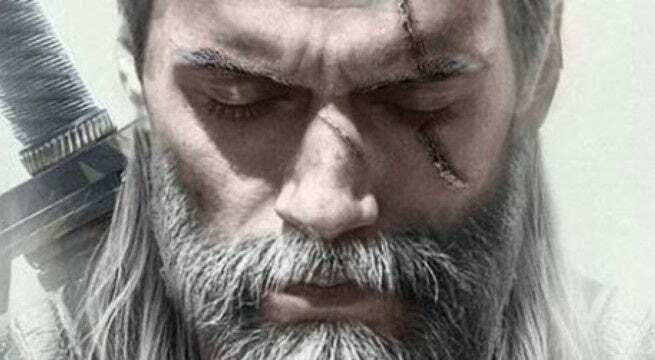 If you were wondering if Henry Cavill was going to shed some muscle for his new role as Geralt of Rivia in Netflix's The Witcher series -- the answer is no. In fact, he's looking as swole as ever. Today, presumably on a day off from filming, the former Superman actor hit the gym and shared a picture on Instagram after he was done working out. As you can see, with the help of Superman spotting him, Cavill has seemingly put on more muscle. Though, I suppose he's flexing, in gym lighting, and just came out of a workout, or in other words, looks bigger than he normally would. But, I mean, come on, look at those shoulders, they're (literally) the size of my head. As alluded to earlier, many were wondering if Cavill would slim down a bit for the role of Geralt, who has been portrayed as a muscular, very in-shape man, but not really body-builder huge. After all, he has to be nimble. Some fans in fact aren't very smitten with Cavill's larger physique, noting that Witchers are largely defined by their speed and finesse. Because, as you may know, how strong you are doesn't really matter when you're fighting monsters that are far, far stronger than even the strongest human. And so some fans proclaim it's not very faithful to the source material. But I'm not sure if I agree. Just because someone is abnormally strong, doesn't mean they're sacrificing speed and dexterity in the process. Sure, that may be the rule, but there are exceptions, such as Witchers who have been literally mutated to proficiently slay monsters. Though I will concede it's not an extremely accurate portrayal of Geralt specifically. Anyway, at the end of the day, what's going to matter more is Cavill's acting, not his physique. And what's going to matter even more than his acting, is what they will do about that chest hair. You either have to shave that or break out the white dye. The Witcher Netflix series is poised to release sometime this year. The first season will notably be an eight episode run. For more coverage on the highly-anticipated series, click here.